The global trade body has found the EU is still ignoring requests to stop its illegal subsidies for Airbus, handing a victory to its US rival Boeing and paving the way for potentially billions in punitive tariffs. 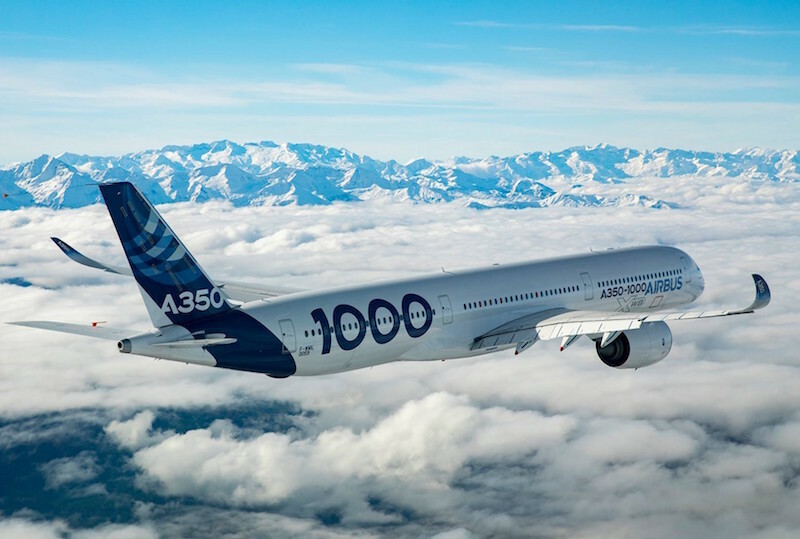 In its ruling on Tuesday, the World Trade Organization (WTO) said the European Union had failed to remove support in the form of preferential government loans for Airbus's A380 superjumbo and A350 twin-aisle jet programs, causing losses for Boeing and US aerospace workers. At the same time, however, the appellate division of WTO's Dispute Settlement Body dismissed a US claim that loans for Airbus's most popular models, the A320 and A330, were costing Boeing significant sales. The ruling was not subject to appeal, WTO said, potentially clearing the way for the US to seek billions of dollars in retaliatory tariffs against European exports. But its decision on the A320 and A330 models is seen narrowing the scope of punitive tariffs in one of the world's longest and costliest trade disputes. The row between the two largest planemakers has been dragging on for more than a decade, and reached a head in 2010 and 2011 when the WTO ruled that both Boeing and Airbus had collected billions in unlawful assistance. In the high-stakes aerospace lawsuit, both sides claimed to have won the epic battle. Boeing said the victory secured on its behalf by the US trade office could see the EU slapped with "the largest-ever WTO authorization of retaliatory tariffs." In a statement, the Chicago-based firm said those tariffs could amount to $22 billion (€18.6 billion), equivalent to the amount in illegal subsidies that Airbus has received from the EU, according to Boeing's tally. "Today's final ruling sends a clear message: disregard for the rules and illegal subsidies are not tolerated," Boeing said. The European Union also sought to portray itself as a victor, as the WTO had rejected 204 of the total 218 claims put forward by the US. But EU Trade Commissioner Cecilia Malmstrom also conceded that WTO had put the onus on the bloc to change its subsidies practices regarding Airbus. "The EU will now take swift action to bring itself into line with WTO rules as regards its remaining obligations," she said in a statement. The ruling clears the way for what could be the largest retaliatory action in WTO history. But before the US can impose tariffs, it will have to request an estimate of damages from a WTO arbitration panel, and Brussels has the right to challenge the amount. Originally, Boeing argued that the EU's unlawful aid to the two plane programs came to $22 billion. But aviation experts have calculated that the amount of tariffs to be imposed on the EU could reach only about $9 billion. The exact amount of allowed US retaliation will be determined by a separate WTO process that could take months or even up to a year. WTO's ruling on Tuesday is only the first in the drawn-out dispute between Boeing and Airbus. In the coming months, WTO's appelate court is set to rule on Airbus's counter-claim that Boeing received more than $20 billion in illegal aid under tax breaks granted by Washington state. A ruling in favor of the European aerospace giant would, in turn, allow Brussels to impose its own punitive tariffs on US goods under WTO rule. Therefore, Airbus chief executive Tom Enders already said that the WTO ruling of Tuesday "is really only half the story." In a statement, he also noted that Boeing would find it difficult to prove before the arbitration panel any significant damage from the subsidies granted to Airbus. "Despite Boeing's rhetoric, it is clear that their position today is straightforward healthy: they have half the market and a full order book, they have clearly not been damaged by Airbus repayable loans," he said.